12 Korean Couple Photoshoot Ideas That You’d Definitely Want To Try Out! For couples travelling to South Korea for a variety of reasons such as celebrating their recent engagement, an upcoming birthday or even an anniversary, here is something for you to chew over! 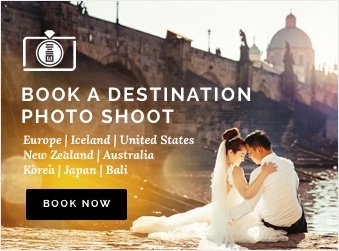 Why not plan for a couple photoshoot while on vacation? The concept of a casual couple shoot is also known as “date snaps”. It is about capturing moments of your date in a fuss-free and fun manner. This can be completed in a short session of 4 hours with your photographer. 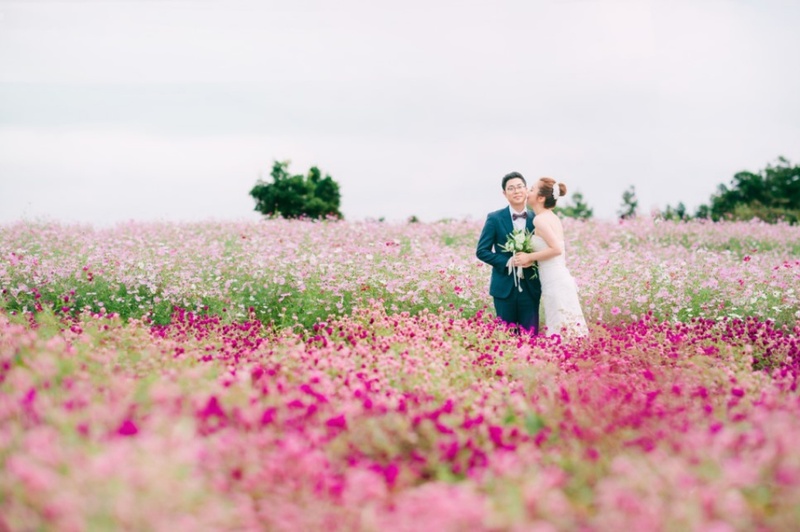 In this article, we list some of our best-loved outdoor pre-wedding photoshoots done in Korea that we hope you can gain some inspirations from. A picnic date photoshoot will be the most alluring during the spring season with flowers around in full bloom. Or during the autumn season when the branches in the parks are thick with leaves in reddish brown hues! See here for all photos of Styled Camping Concept Pre-wedding Photoshoot by Henshe Snap. View all photos from by Korean Pre-wedding Photoshoot by Bohemio Photo. With breath-taking natural beauty all around, a photoshoot in the park will definitely be a good place to start! Visit the popular Seonyudo Park in Seoul to pose with the seasonal flowers of the Botanic Gardens. See here for all photos from Casual Couple Shoot at Seonyudo Park by MAPIC. After spending the whole day together exploring Seoul, arrange for a photoshoot to coincide with the sunset. Not only will you get to enjoy the great view, your photos will be basked in glorious orange tints. 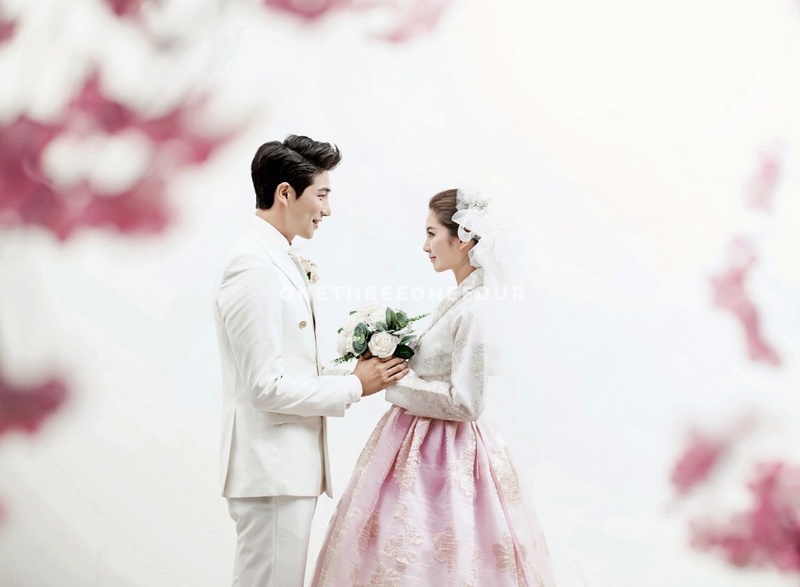 See here for all photos from Korean Casual Engagement Photoshoot by Bohemio Photo. Since cherry blossoms have been understood to represent the beauty of life, celebrate the life you have together with your significant other! Furthermore, we don’t get to experience the cherry blossom season in Singapore, so a photoshoot would be the perfect opportunity to capture these memories! If you’re planning for a photoshoot with the cherry blossoms, see our 10 recommended locations! See here for all photos from Cherry Blossoms Couple Date Shoot at Dream Forest by MAPIC. The streets of Hongdae will be like a breath of fresh air! With street music all around, this vibrant shopping district will be a unique place for you to have your couple photoshoot. See here for all photos from Winter couple shoot by LeanSnap. Take this opportunity to appreciate art in these urban environments with street art all around. These will add a pop of colour to your photos and will also allow you to be comical and causal when you pose with them! See here for all photos from Casual Dating Snaps at Iwha Village by LeanSnap. See here for all photos from Couple Date Shoot at Samcheong-dong by Skydal Photography. Another location that cannot be found in Singapore is the tea plantation. It makes a favourable place for a couple photoshoot with serene surroundings, vast open air and clear blue skies. See here for all photos from Jeju Island Couple Photoshoot by Lookformation. Release your inner-child and have a ball of a time at an abandoned amusement park in Korea. With most of the facilities still intact, feel free to use them as props for your photoshoot! 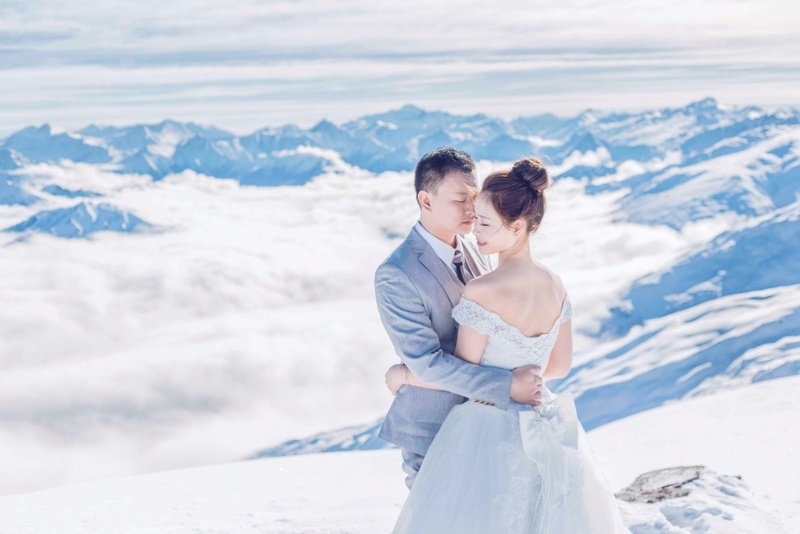 See here for all photos from the Couple Date Shoot at Yongma Land by Skydal Photography. The sunshine yellow canola fields will be full bloom in spring, so visit then if you’re considering it as one of your date snap location. Just make sure to not commit any illegal trespassing that could get yourselves into trouble! What’s a better way to enjoy a date than eating together right? Since there are heaps of street food stalls in Korea, documenting your trip at one would be a good representation of your time there! See here for all photos of Date Snap in Samcheong-dong by Haeng Won. Spend the day pretending to be part of the aristocrats and the royalty in the past by strolling around traditional houses and walls. Complete the experience by renting one of their colourful traditional costumes! Read here for our recent feature of this Japanese couple that went to Seoul for their honeymoon! See here for all photos of this Hanbok photoshoot by Henshe Snap. We hope this article sparked some of your interest regarding the idea of “date snaps”. Which of these ideas are your favourite? Tell us down in the comment box below! Do visit our wedding photography market place to hire a photographer based in Korea to help document your couple shoots!